Kashmir University Results 2018 has been released. Candidates can check University of Kashmir Results from this page. Kashmir University Results can be check be checked either providing “Roll No, Name, or Registration No”. Students can be checked their result to know the total marks secured in the exam. Candidates scoring minimum qualifying marks shall be considered as pass. Qualifying candidates will be promoted to the next semester. The University shall provide the detail mark sheet to all the candidates who appeared for the semester exam. Candidates shall have to apply for the re-evaluation of the answer script if eligible. Check the page for the Kashmir University Results 2018. Latest: The University of Kashmir has released the result of BCA and B.A B.Sc. B.Com. BA Honors Exam. 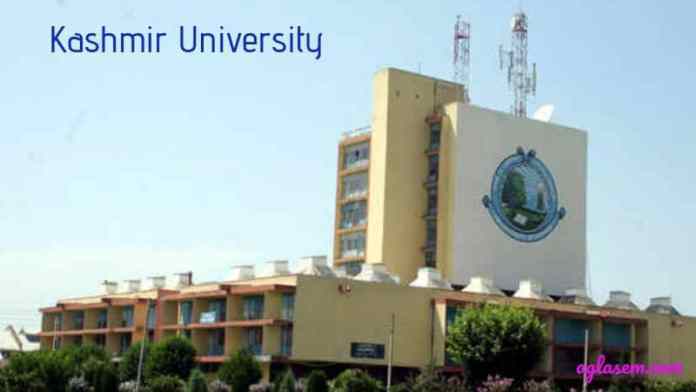 Kashmir University releases the semester exam online on the official website ie, kashmiruniversity.net. The semester examinations are conducted twice in a year. Candidates need to pass in both theory and practical exam to qualify the exam. Check the table for University of Kashmir Exam Results. Result: Candidates can check University of Kashmir Result 2018 from the university official website ie, www.kashmiruniversity.net. How to Check Kashmir University Results? Candidates appeared for the exam can check their result through the link provided in the table. Click the link and Kashmir University latest Results page will open. Candidates have three choices to check the results ie, Roll No, Name, and Registration No. Follow the steps to check Kashmir University Result. Eligible candidates have to apply for the re-evaluation within the 7 or 15 days from the date of declaration of the result. Candidates can submit re-evaluation form online. No application will be accepted after the due date. Candidate should note that they can apply for re-evaluation if he/she fails in a paper by 10% of the marks or less. Suitable amendments will be made shortly. Kashmir University Re-evaluation Result is released online. Under Right to Information Act (RTI) the university provides xerox copy of answer script to the candidates within a maximum period of 30 days. Xerox copy of answer script is not a substitute for re-evaluation. Applying for the xerox copy of answer script never means you have applied for re-evaluation. If a candidate wishes to apply for a xerox copy of answer script and re-evaluation then such candidates have to submit two application form. For re-evaluation, candidate have to submit the application form to the controller of examination and for a xerox copy of answer script, the candidate has to apply to the Public Information Officer.